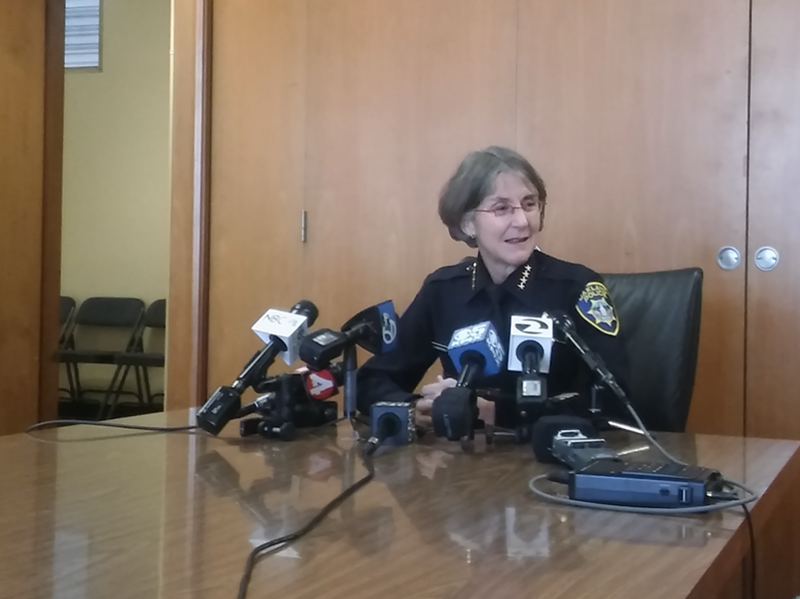 When asked about her first impression of Oakland, Anne Kirkpatrick, the city's new police chief, said she couldn't help but notice the large number of people living on the streets. "I know they're vulnerable," Kirkpatrick told a conference of reporters this morning about the city's growing population of homeless people. "That is always a concern to me. I'd like to learn more about what we're doing in Oakland to help them." The new chief lives downtown and said she was drawn to Oakland because it's "a city on the move." Kirkpatrick praised Oakland's reputation as a hotbed for social activism and contentious politics. "It's a positive part of the city's fabric," she said of protests. However, she added that under her leadership, protecting property from vandalism will remain a priority. Much of what Kirkpatrick talked about was how to reform the OPD. This month the department enters its 14th year under the oversight of a federal court due to police misconduct. She said to change OPD's culture, she'll be going after "hearts and minds." "When you want to change a culture, you have to have people change their thinking," she said. "Now we're in the 21st Century. We police differently than we did 35 years ago." "I will make changes wherever they need to be made in this organization."